← First Real Snow of the Season! 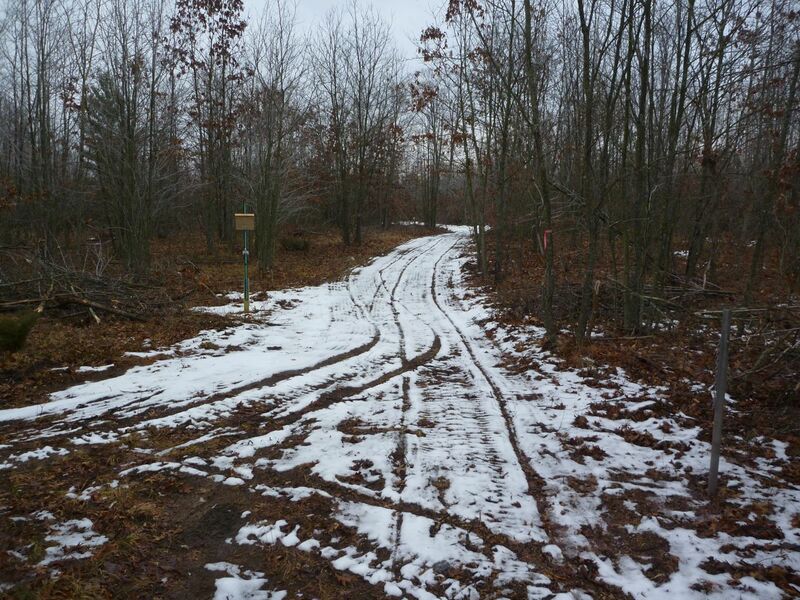 While we did have almost skiable trail on Christmas Eve, most of it all melted in the last few days. Luckily some of the base did stick around but we still need about 6″ of snow before it will compact down enough to have good skiing. Here is a picture from late Tuesday before the temperature dropped below freezing so you can see how we are not starting completely from scratch. 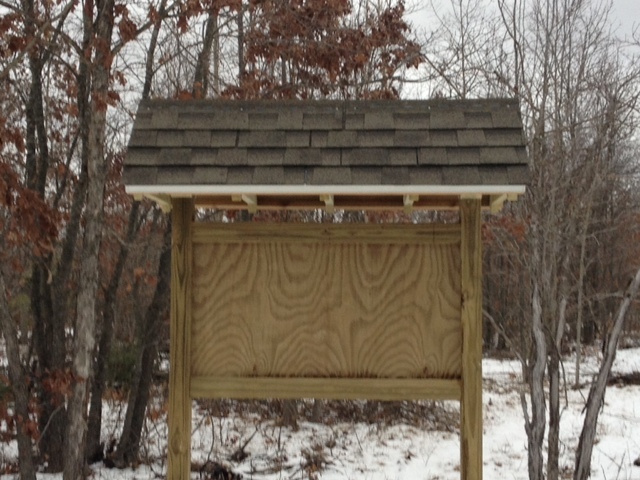 Clete made it out this past weekend and finished up the trailhead kiosk/signpost. It looks awesome and we just need to get some info about the park posted so people know what the heck is going on.